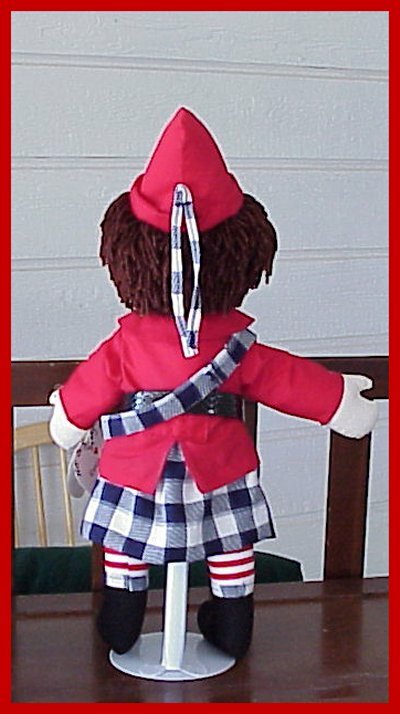 Straight from the Fairyland created by Johnny Gruelle in his delightful Raggedy Ann stories....comes "UNCLE CLEM THE SCOTCH DOLL" A charming whimsical character, who was adored by Raggedy Ann And Andy and shared some magical mysteries with them..........Another of the many Raggedy Character Dolls that I create!....WHY NOT COLLECT THEM ALL??? 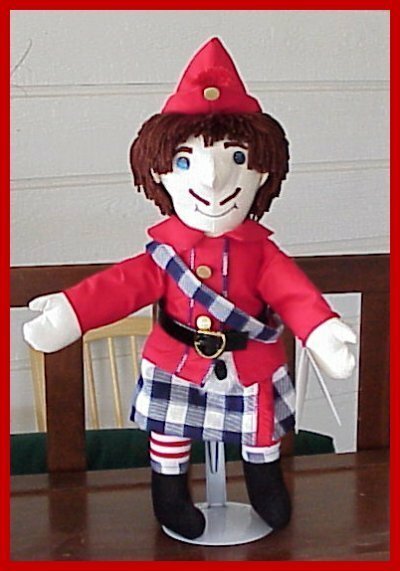 Gruelle first introduced his Uncle Clem the Scotch Doll character in his book, " My Very Own Fairy Stories "
Papa takes him away and brings him back as a new doll "Percy Policeman". However, he still knows all the dolls names and they soon realize that he is actually Uncle Clem .
" 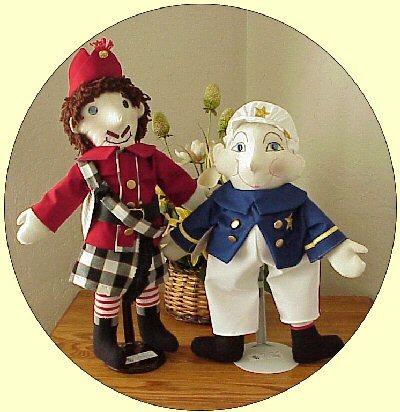 Marcella " and " Wooden Willie ". 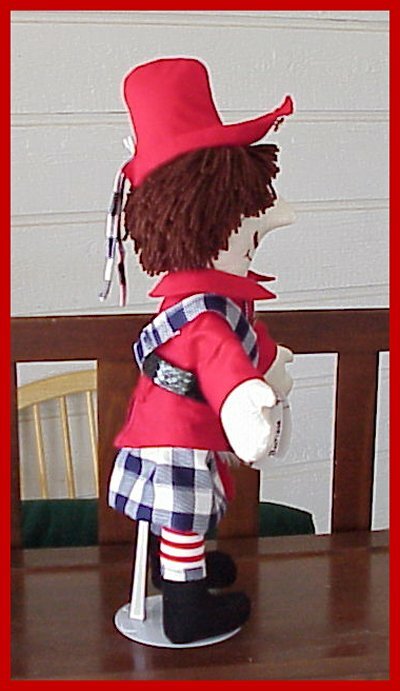 character dolls as part of a fourteen-item line, collectively referred to as the "Raggedy Dolls." 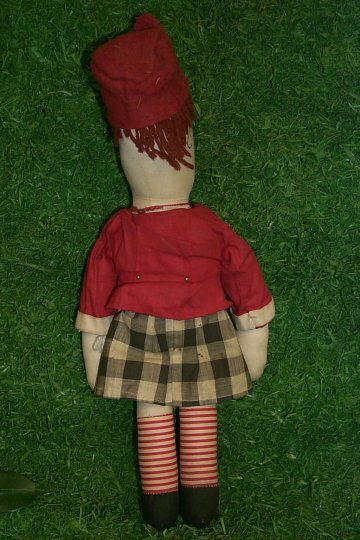 Rounding out the line were four non-Gruelle dolls. I had never personally seen one, until I visited the Raggedy Festival in 2004, though I have seen pictures in several of my "collectors" books since I created my own version. 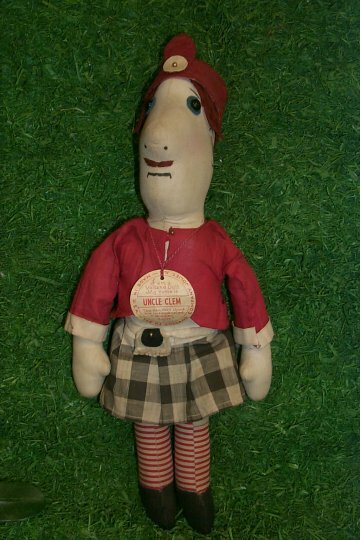 My doll is created from the Storybook pictures of the Uncle Clem character, rather than from the "original" doll. I did not realize there had been an "original" until after mine was created and I had sold several of them. 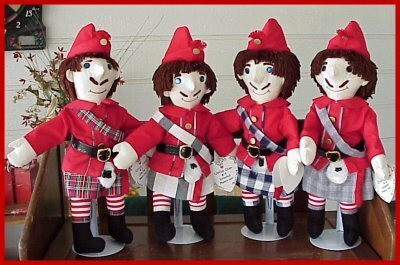 I would be happy to create one in the likeness of the original if someone places a "Special Order". I felt he deserved preservation! 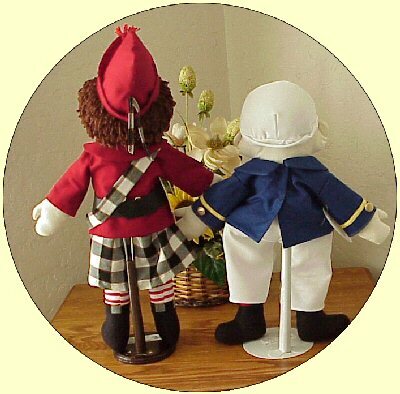 With his Scottish attire he adds lots of "character" to your Raggedy Collection! 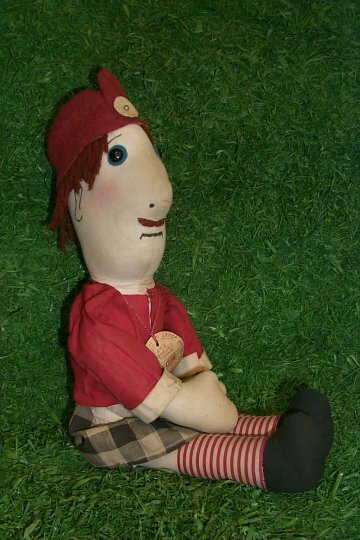 He is a very popular and well known Gruelle character and is another of the more sought after character dolls that I have created! while all the real-for-sure people are away from home or fast aleep! 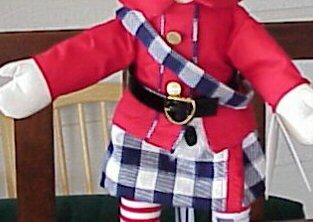 with gold tone buckle;faux fur "sporran";red jacket trimmed with plaid and gold-tone metal buttons; and black velour hi-top boots. 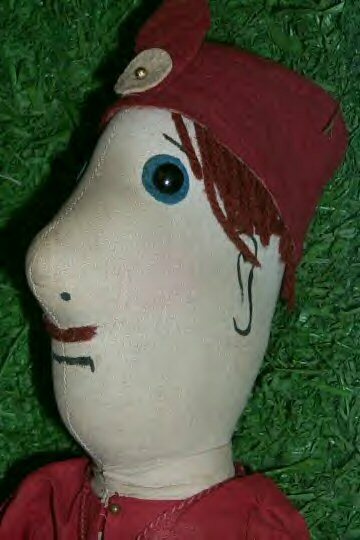 and his facial features are embroidered; he wears the traditional red/white striped raggedy legs. Here are a few of MY OWN re-creations of "Uncle Clem"
PLEASE..Click on each picture to ENLARGE ! !